History was made in South Africa on Sunday the 7th of January. 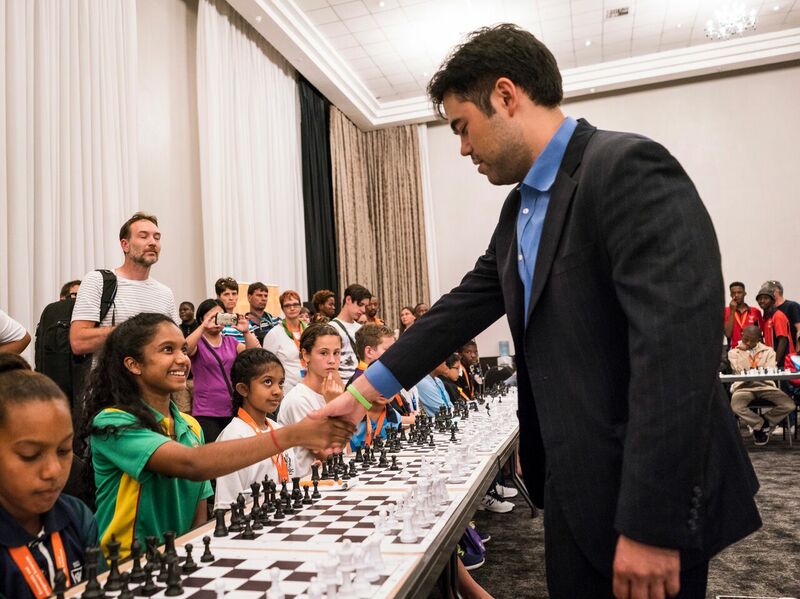 Super chess Grandmaster Hikaru Nakamura from the United States took part in the largest simultaneous exhibition ever to be held in South Africa and definitely one of the biggest simultaneous chess exhibitions to ever be held in Africa. 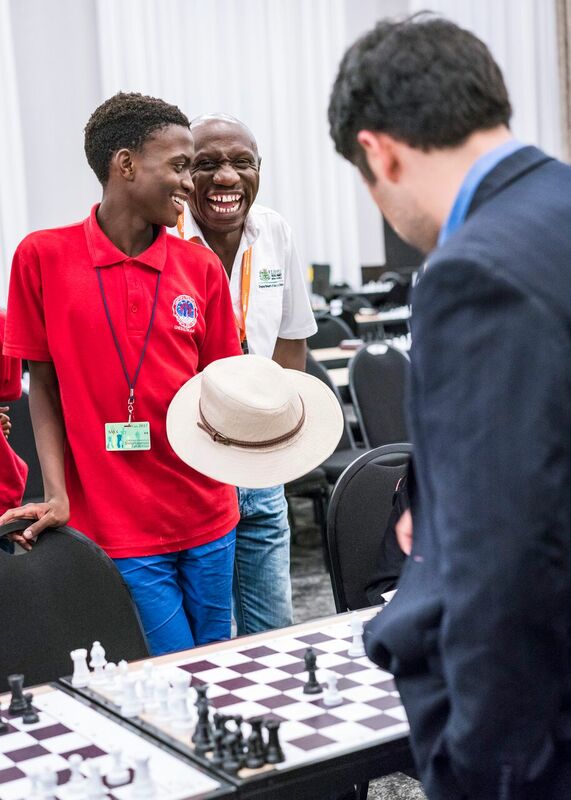 It’s been an Incredible week for South African chess with 2 massive events one after the other. 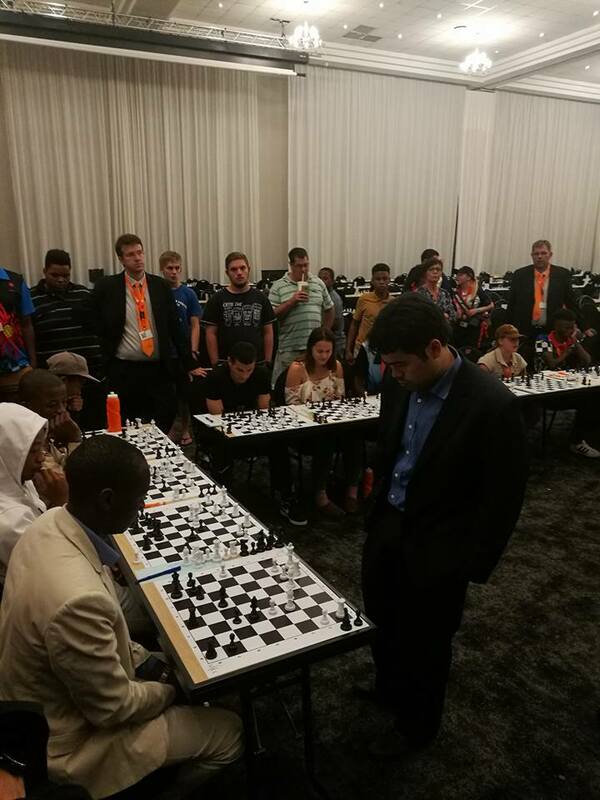 One of the largest chess tournaments in the country, South African Junior Chess Championships (SAJCC) was followed by the largest simultaneous chess exhibition. 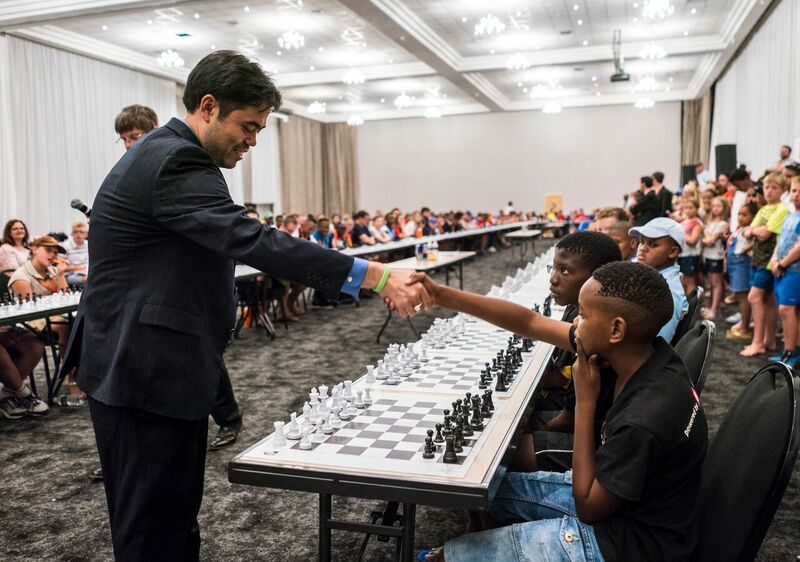 Grandmaster Nakamura played 101 games at the same time against chess players from all over the country at the OR Tambo Conference Centre in Johannesburg. Out of 101 games the grandmaster lost just 2 games and 7 seven games. Just a day before the simultaneous chess exhibition, the grandmaster had visited Joubert Park in Johannesburg for a very eventful day of chess in the park. And in one of the games that the grandmaster lost, that game lasted almost 6 hours so as one can easily see that the grandmaster was looking to win every single game in the simultaneous chess exhibition. 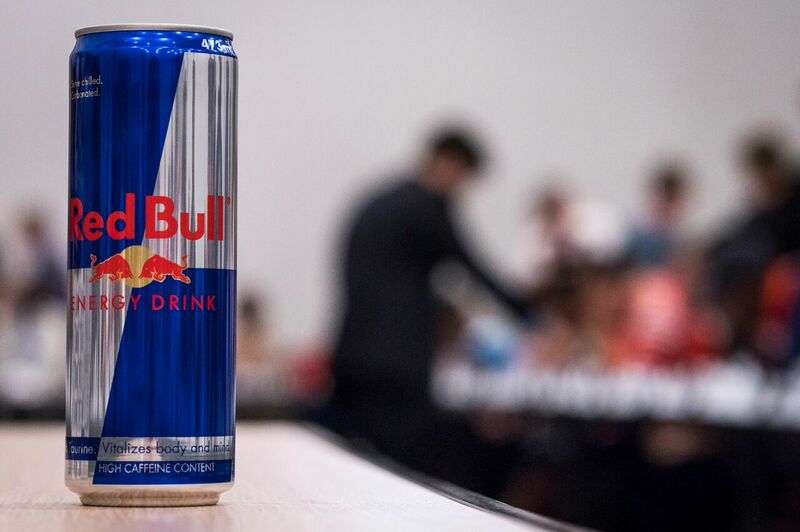 That’s how competitive these players are. There are no easy games for anyone playing the GM and if you are going to win against a grand master you have to work incredibly hard. It was not just a workout for the chess players facing Grandmaster Nakamura but also quite a physical workout for The Grandmaster himself. In completing all his games The Grandmaster made an average of 24 moves per game and by the time he had finished all the games he had made around 3000 moves in total. He walked about 4 and a half km to complete all the games and the simultaneous chess exhibition. 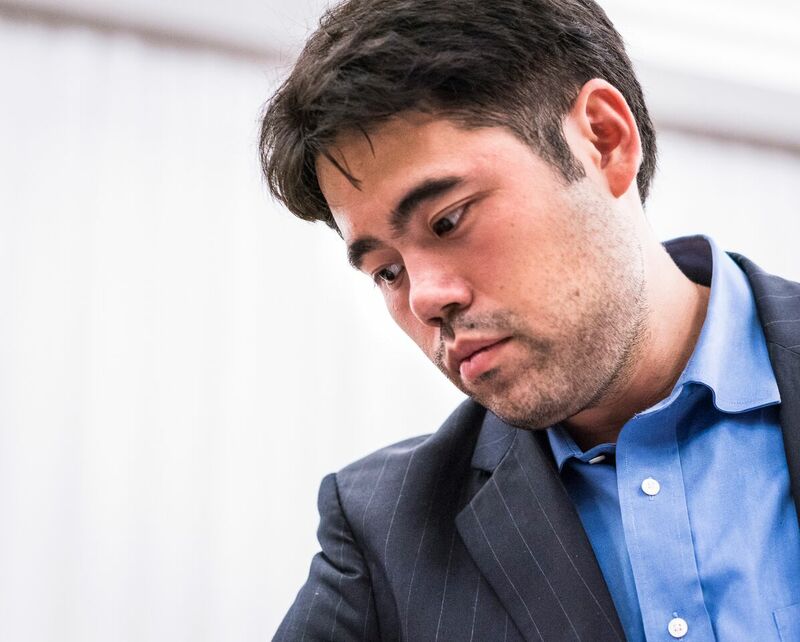 And now he is an account from one of Chess promoter, entrepreneur, player and coach Reuben Salimu, one of the very few players to draw against Grandmaster Hikaru Nakamura. 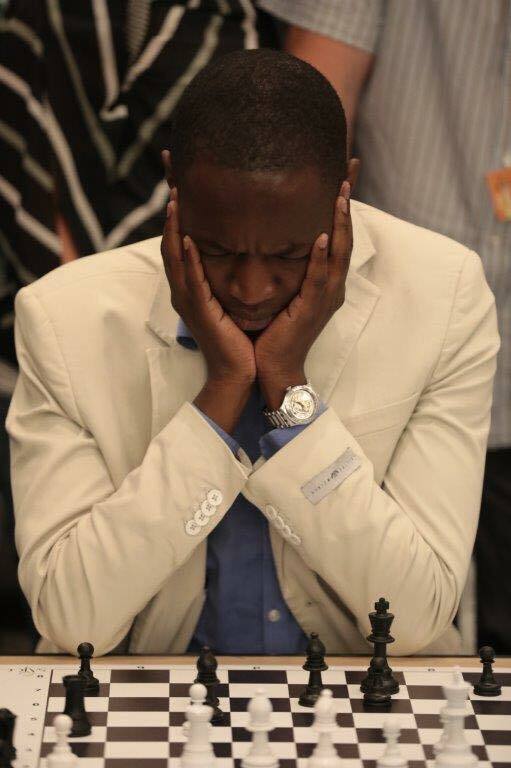 Reuben Salimu played the super Grandmaster Nakamura and drew. Not a bad start to the year at all. You can replay the game below where Grandmaster Nakamura was white and Reuben Salimu was black. Below is the account of the game in Reuben’s own words. squared bishop makes sense and challenges the white anchor pawn on e5. overcome I move my king out of check. However there is more to the position. Wijk aan Zee 2010 – A tournament to remember!